Nearly a dozen local primary schools have signed up to the Croydon Code Club, an initiative backed by the Lives Not Knives youth charity group which aims to bring relevant digital training to pre-teen children – with secondary school pupils providing much of the training. 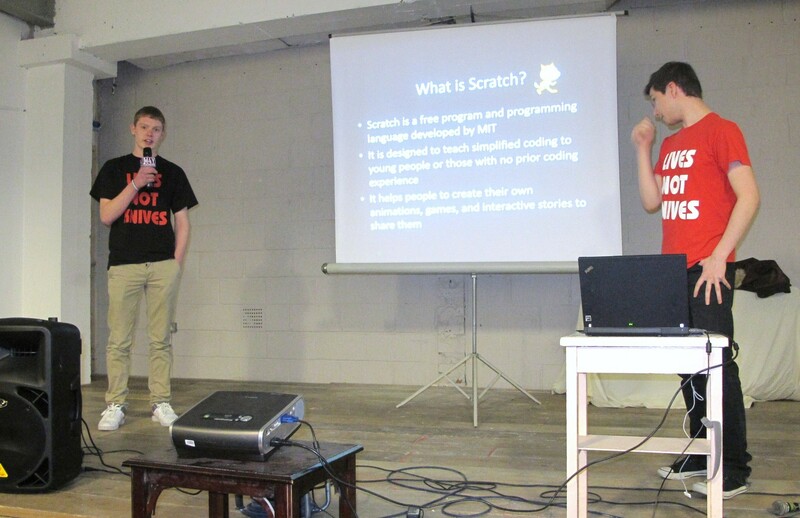 Croydon Code Club was launched at the latest meeting of the Croydon Tech City group last week, where young volunteers spoke alongside established local digital entrepreneurs. The meeting even saw three more parent volunteers sign up, joining six volunteer trainers committed from dotMailer, the rapidly growing tech business based at East Croydon. Simon Bird, dotMailer’s director, addressed the teachers and parents present, as did Linda Sandvik, the co-founder of Code Club. A viral video on Youtube featuring Prince Andrew, Martha Lane Fox, Chad Hurley, Niklas Zennström, Brent Hoberman and Tim Berners-Lee has been released to promote awareness of the project. The project’s aim is to have 25 per cent of Britain’s schools taking part in the programme by 2014. Lives Not Knives volunteers, Jack Ali and Richard Phelps, gave an overview of how Code Club will be set up and made sustainable in all Croydon primary schools. The volunteers had already presented their model to a team of techies from dotMailer. Croydon Code Club will be adopting a training model whereby, volunteers from secondary schools will be trained to teach the Year 6s in an afterschool club how to code. And if you would like more information on Code Club please contact Monique Rebeiro at monique@livesnotknives.org or Tara Green tara.green@beginner2winner.com. Inside Croydon: For comment and analysis about Croydon, from inside Croydon – not from Redhill or Watford. This entry was posted in Activities, Business, Charity, Education, Lives Not Knives, Schools and tagged Brent Hoberman, Chad Hurley, Croydon, Martha Lane Fox, Niklas Zennström, Simon Bird, Tim Berners-Lee, YouTube. Bookmark the permalink.